China's auto industry has a little more than half a century. Since the beginning of the 1990s, it has been developing very rapidly. Since 2009, China is the largest car market in the world and the largest automaker in the world, annually produces cars in recent years more than the next two automakers (US and Japan) combined, or more than all EU countries combined. In 2013 and 2014 for the first time in the history of the world auto industry for any country, China produced more than 20 million cars - respectively 22.1 million and 23.7 million units. China is now able to produce a full line of automotive products. Major Chinese companies are FAW, SAIC and Dongfeng. By the end of November 2006, China had a total of 6322 car company. China has overtaken Japan to become the second largest automobile market in 2006. 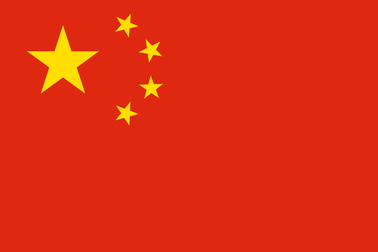 In 2009, China bypassed the United States, becoming the world's largest automotive market. Since 2009, China is the largest car market in the world. This growth spurs demand for spare parts, services and post-warranty maintenance. Nearly half (44.3% according to 2009) of the produced cars are local brands (BYD, Lifan, Chang'an, Geely, Chery, Hafei, Jianghuai, Great Wall, Roewe, FAW, etc..), The rest are made on joint ventures with foreign automakers (such as Volkswagen, Mitsubishi, General Motors, Hyundai, Nissan, Honda, Toyota, etc.) The vast majority of cars produced in China and sold in the domestic market. So in 2009 the export took only 369.6 thousand. 13,760,000 of the issued cars. Number of registered vehicles in China reached 62 million in 2009, and is expected to exceed 200 million by 2020. By 2011, according to the Ministry of Public Security of China Vehicle National Park exceeded 100 million, ahead of Japan (73.6 million at the end of 2010) and became the second in the world after the United States. Zhang Xueliang founded his arsenal, where one truck, named Ming Sheng was made in 1931. June 15, 1953 is considered to be the birthday of all automobile industry in the PRC. Then in Beijing began its work FAW. March 10, 1958 - the first truck (NJ130) with carrying capacity of 2.5 tonnes, based on the GAZ-51 was produced in Nanjing. He was named Yuejin (Yuetszin, which means "a step forward"), the first Chinese Ministry of industrial equipment. In 1992, the annual volume of production of cars in China for the first time exceeded one million. By 2000, China produced more than two million vehicles. After joining in 2001, China's WTO development of the automotive market is even more accelerated. Between 2002 and 2007, the growth of the national car market of the People's Republic was an average of 21% or 1 million vehicles on an annualized basis. In 2004, car production exceeded 5 million, and in 2009, China has made 13.76 million vehicles, surpassing Japan to become the largest automobile manufacturer in the world. In 2010, both sales and production rose once more by one third and exceeded 18 million units. For the first time in the history of the world auto industry to a country's output exceeded the limit of 15 million vehicles. Production reached 18.26 million vehicles, including 11.6 million passenger cars, which helped to keep and strengthen the first in the world (including sales of cars), not only very far ahead of the two leaders (US and Japan), successive each other the previous 40 years, but also ahead of all EU countries combined. In 2011, China's auto industry has increased by a few percent. Of a total of 19.27 million units of passenger cars produced 14.89 million (4.23% compared to 2010), and commercial - 3.93 million (-9.93%). The volume of sales in the automotive market in China reached 18.51 million, which is only 2.45% in 2011, exceeding the 2010 level. This is due to the termination of the government programs to stimulate the car market (up to 10% increase in the sales tax on small cars, minimize trade-in program for farmers and the introduction of hard quantitative restrictions increase the fleet in the most congested metropolitan Shanghai and Beijing). Sales of passenger cars rose by 5.19% in 2011 to 14.47 million, while commercial vehicles by 6.31% to 4.03 million. However, even if the cardinal slowdown of production and sales in 2011, China has kept for an unconditional leading position as the world's largest automaker and the largest automobile market in the world, again well ahead of US data on indicators (8.61 million and 12.9 million, respectively).